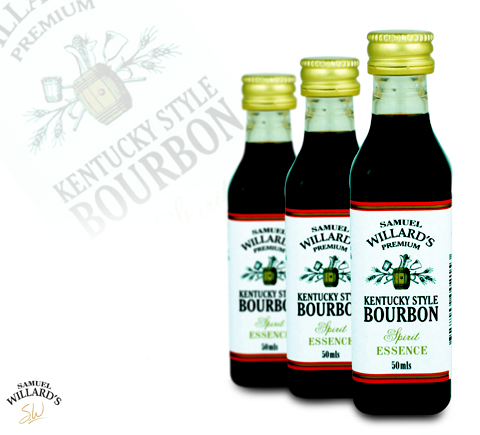 In the style of Jack Daniels, this essence is infused with sweet and sooty characteristics typical to a good Tennessee Bourbon, all combined into a pleasant smooth finish. In the style of Jim Beam, the smokiness and grainy attributes of this essence make for tasty mixed drink, nicely rounded off with hints of burnt oak. 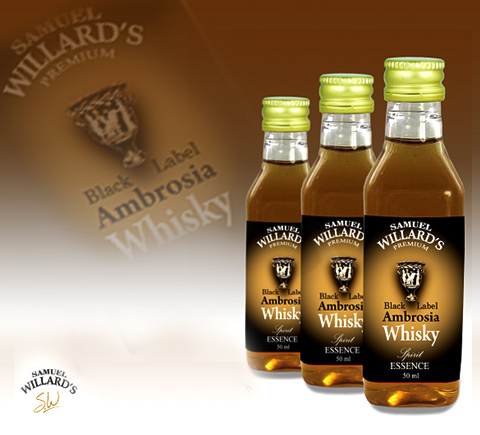 Samuel Willard's Premium Selection yeilds 1125 ml. when mixed. 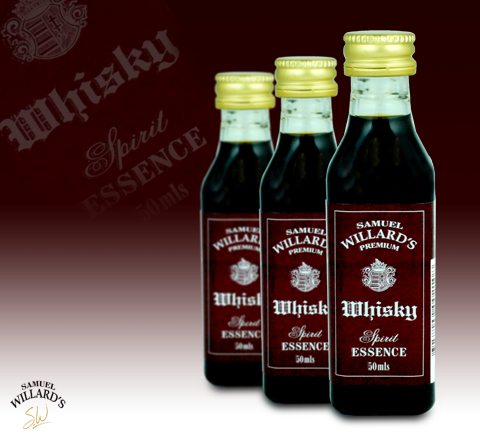 This essence has a rich, full-bodied nose and a perfect golden honey colour. It has a peat flavour on the palate with heather overtones and a hint of malted spice together with a mature sweetness with a long finish. 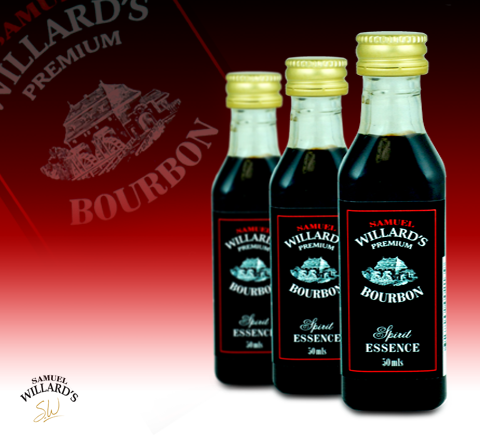 Samuel Willard's Premium Selection yeilds 1125 ml. when mixed. 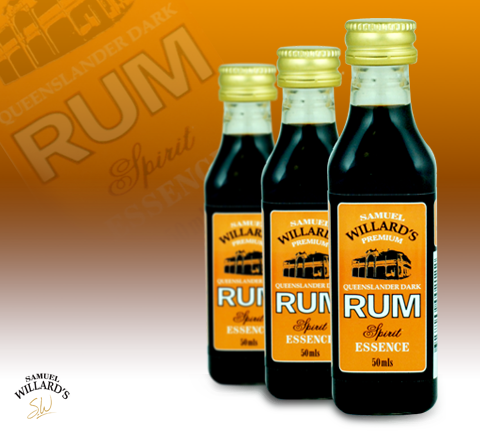 Samuel Willards Premium Spiced Rum is smooth and medium bodied and contains a blend of Caribbean Rum and mellow spice essence to give a Captain Morgan style flavour. Enjoy with cola, Ginger ale or neat. This Dark Jamaican Rum exhibits a rich caramel colour and displays full flavoured Jamaican Rum taste, based on a blend of dark rums to create a Caribbean favourite. Enjoy with your favourite mixer or on ice with a squeeze of lime.